Yesterday I went to Siak Town in Riau Province. The travel is soooo exhausting you know, sit for hours in the car. I went there with my family, there are my mom, my dad, my little brother and me my self. We leave the Payakumbuh Town at 3 PM in Saturday, then return back at night and arrived home safely in 3.30 AM in Monday. What a short time with a long route.. and its soooo exhausting!! But after all it was good. Yeah. Hehe. 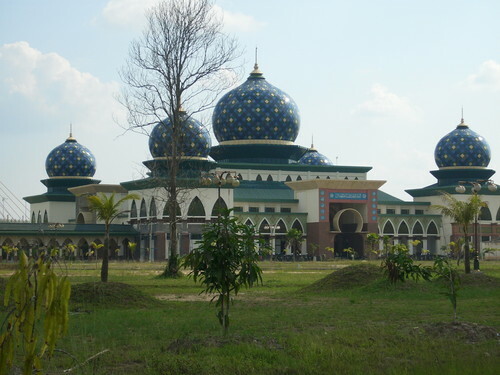 Siak Town is located in the east region of Riau Province. 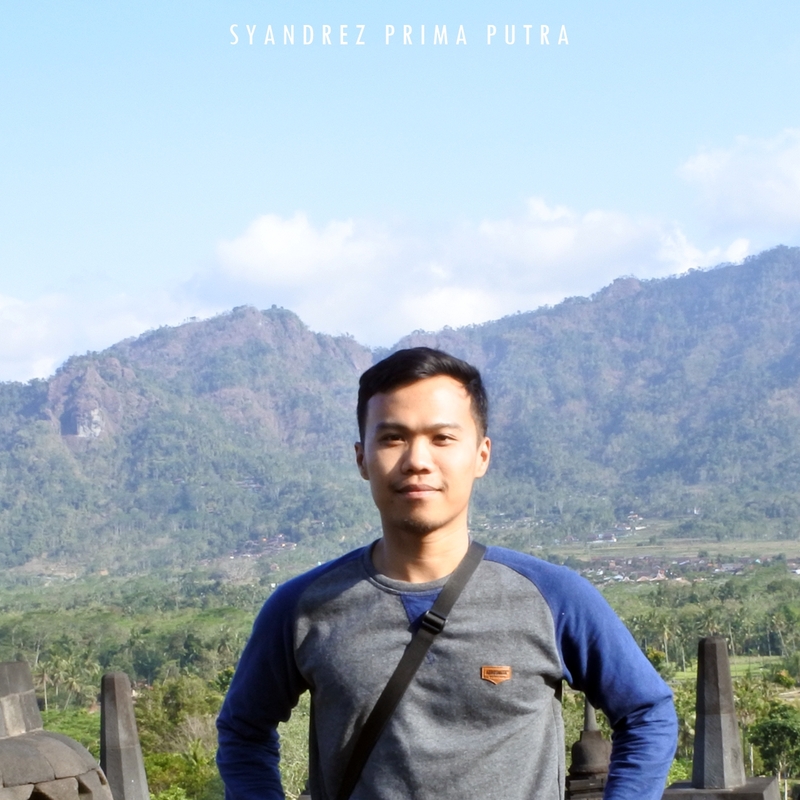 It is about 220 km from my town, Payakumbuh, West Sumatra. There is something like a very large green preview around the way to Siak Town from Pekanbaru City, because in the right and left side of the way, there is almost filled of palm tree everywhere. The way to the town from Pekanbaru is a very long straight way I ever had. The view is very different with my hometown in West Sumatra, where there are many hills and mountain over the way, but this one is almost filled of flat land with palm and another thin tree and it is very broad. Siak Town is exactly near with Malaysia and Singapore, called “Growth Triangle”. There was famously known as the Siak Sri Indrapura Kingdom, with a Palace located the central of the town, named Siak Palace (In Indonesian called Istana Siak). The history of this Palace is about the Kingdom of Sultan Syarif Kasim who was the most famous king of the kingdom, and there was Sultan Syarif Kasim II, the son of Sultan Syarif Kasim who became the last king before the kingdom joins the Republic of Indonesia in 1945. I arrived to the palace in Sunday mid-morning. Exactly, the palace isn’t too big, but the architecture is quite beautiful. In the previous I think, the architecture is about Malayan, but actually it’s more look like an Arabian or Persian architecture. Now, the palace is transformed to become a Museum, and you can see the historical relics and any historical photographs of the Siak Sri Indrapura Kingdom that well preserved. 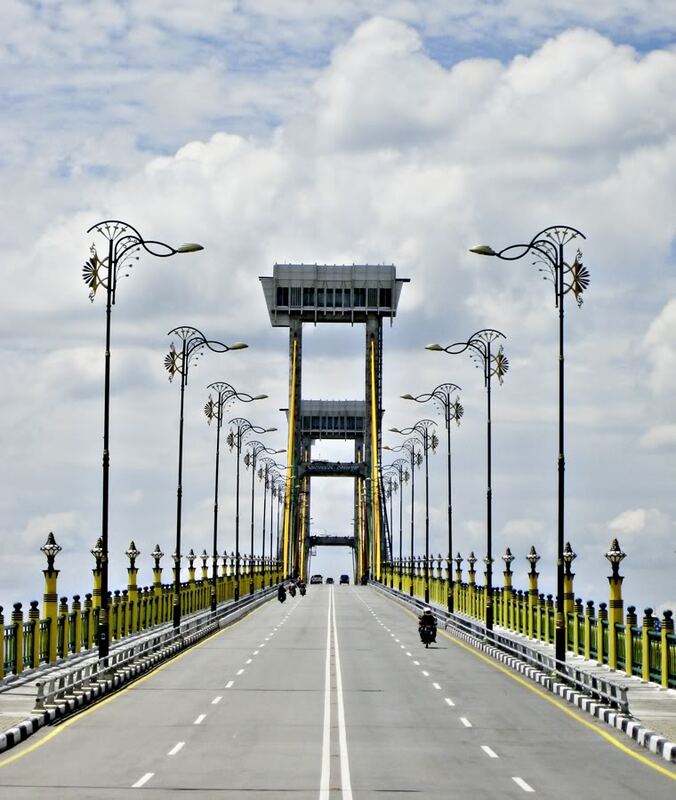 Besides that, in Siak Town you may see the Siak Bridge when you enter the town. 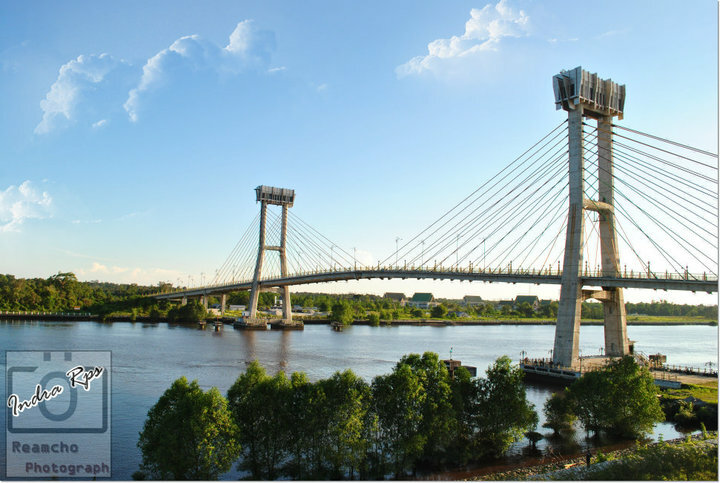 The bridge is extended on the Siak River, knownly as the deepest river in Indonesia. It’s beautfiul too. The architec is nearly like a Musi Bridge in Palembang, but the length is shorter I think. 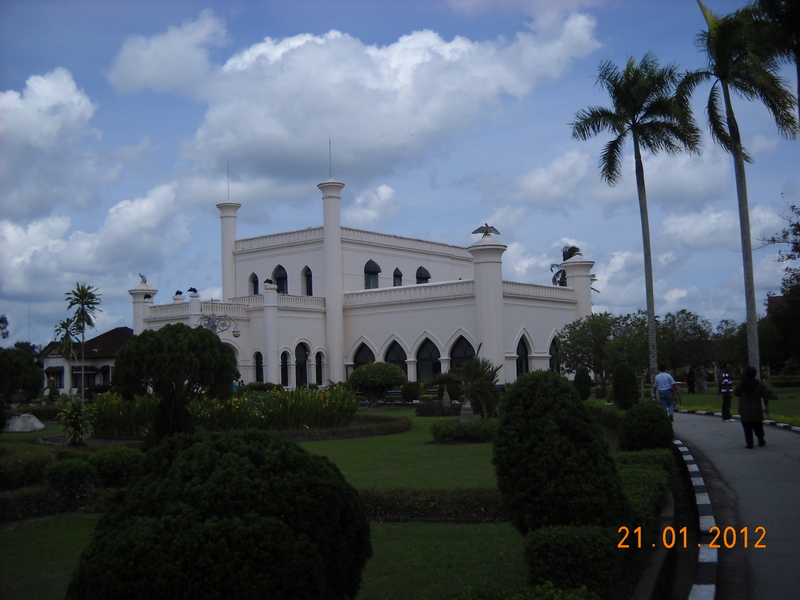 Another beautiful building there is Siak Mosque. Its located near the bridge and Siak River. The hall of the mosque is very clean, large and cool. The carpet is very soft and there were many big fan hinge on the wall. We did shalat there and it was very peaceful. But, I’m quite sad because the jama’ah of the mosque is measly, even there is maybe no one except us the travelers. Adzan is not always heard there, and I didn’t see any local prayers. Soo Saaadd!!! How can this big mosque doesn’t has it? Is that because the location of the mosque is far from the community houses? Oh my God.. its seems to me that the mosque is only become an ornament of the town. How sad. (_ _”) Masya Allah. I hope my opinion is wrong. These three buildings become the icons of the Siak Town. But, there were still a lot of luxurious buildings with Malayan architecture standing around the way of the Town. But, these luxurious buildings look uninhabited. I think these building is asset of any rich people of riau palm oil enterpreneurs. The town look arraged very good, but it’s only much of road and the houses is still a little. The community of the town itself is far from the gate of the town. But I think, this Siak Town could be a big town in the future, maybe it could become the rich people community, especially the community of Riau palm enterpreneurs. Next postJika Kita Bisa Mandiri, Mengembargo Diri Kita Sendiri, Indonesia Will Rule The World!